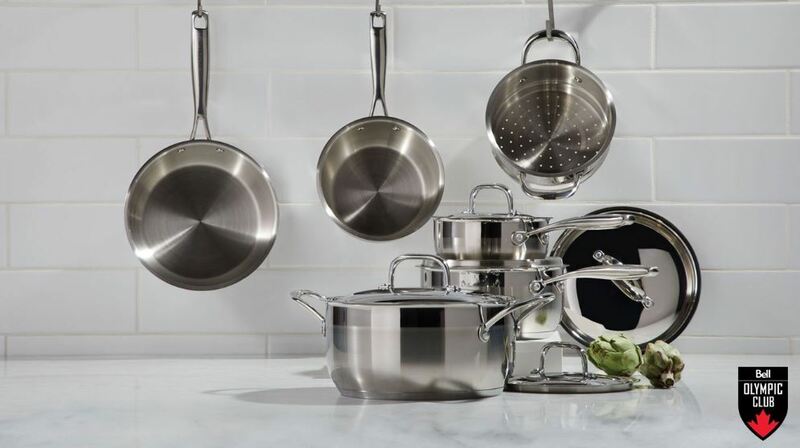 Enter the new Canadian Olympic Team Contest for your chance to Win a Paderno Cookset. This contest is open only to legal residents of Canada who have reached the age of majority in the province or territory of residence. To enter you need to visit the official contest web site located at this link, and follow the on-screen instructions to sign up for a free Canadian Olympic Club account and submit your entry. You can sign up with your Facebook, Twitter, Instagram, LinkedIn, Google + or your email accounts. Contest closes on November 15, 2018 at 11:59 pm ET. Winner will be determined by random draw from all valid entries. There is one Grand Prize available, it consists of a PADERNO premium classic stainless steel 11-pc cookset. The Canadian Olympic Team Contest starts at 9:00 a.m. ET November 2, 2018 and ends at 11:59 p.m. ET on November 15, 2018. The random draw will take place on November 16, 2018.